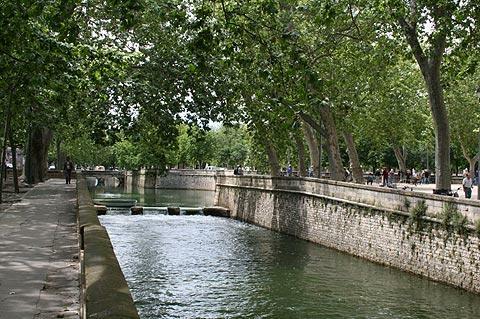 Nimes is a city in the north-east of the Languedoc-Roussillon region, north-west of Arles and north-east of Montpellier. 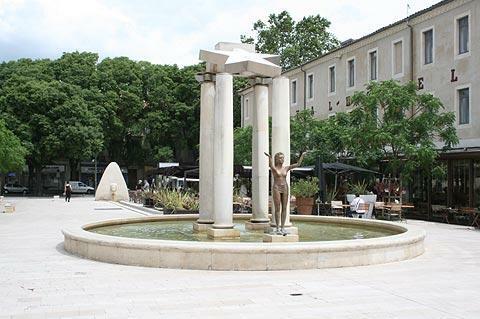 The long history of the town has very much shaped the town we see today, especially in the monuments from the roman period that dominate the centre of Nimes. 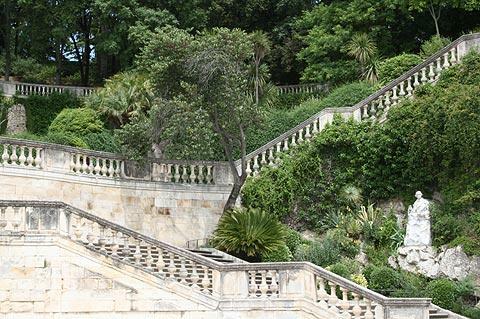 France This Way commentaire: Nimes is one of our favourite French cities and you must visit if you are in the region!! 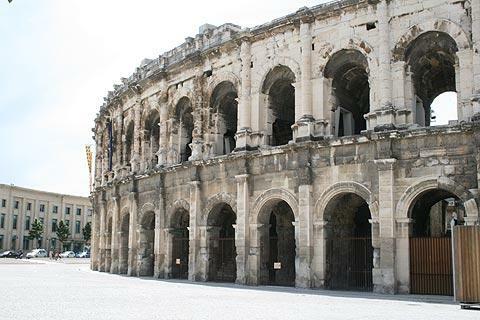 - the amphitheatre, 2000 years old and the best preserved Roman arena in France, is still used today for bullfighting. It is elliptical in shape, 133 metres long and 100 metres wide, and has two stacked rows of arcades in a structure than could hold more than 24,000 spectators. The remarkable history of the arena after the end of the Roman empire includes its use as a Visigoth fortress, a castle for the early French Kings, and later home to a community of several hundred people who built homes within its walls. 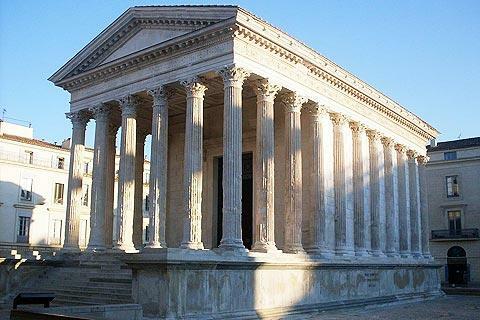 - the maison carrée, an exceptionally fine Roman temple (see also the Eglise de la Madeleine in Paris which was based on this temple) - indeed, the only complete Roman temple in the world. 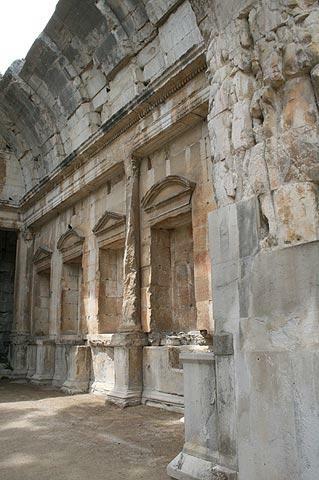 The temple was built around 5 AD, is about 26 metres long and 13.5 metres wide with five columns along the front and 11 along each side, and was originally dedicated to two grandsons of Augustus, called Lucius Caesar and Gaius Caesar. 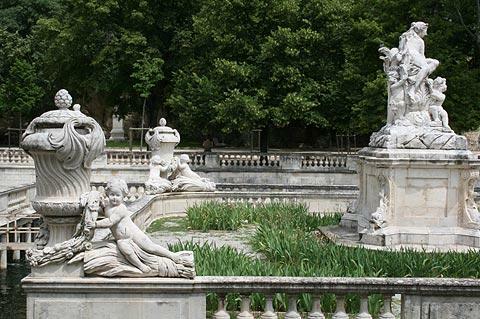 Note: if you have not visited Nimes in recent years you will be amazed by the transformation in the Maison Carrée: following extensive renovation work it has been transformed from a dirty run-down building into a beautiful monument that coukd almost have been built yesterday! For a complete contrast, just across the square from the Maison Carrée you can see a modern glass building designed by Norman Foster called the Carré d'Art (square of art) and designed to copy the general structure of the Maison Carrée but in a modern glass and steel style. 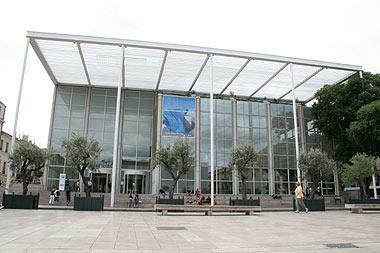 Touted as a 'cube of glass', the the Carré d'Art seems perhaps less radical now than it did when it was constructed. Interesting to see nonetheless, it houses an important library and there is a cafe on the top level which overlooks the Maison Carré. From here continue along the Boulevard Alphones Daudet a little way, then pass through the modern plaza at Place d'Assas with its interesting sculptures, and then continue along the Quai de la Fontaine to see the third important ancient monument in Nimes - the Temple of Diane, and the lovely gardens called the Jardins de la Fontaine that lead up behind the temple to the Magne Tower (and also a lovely way to escape from the bustle of Nimes). 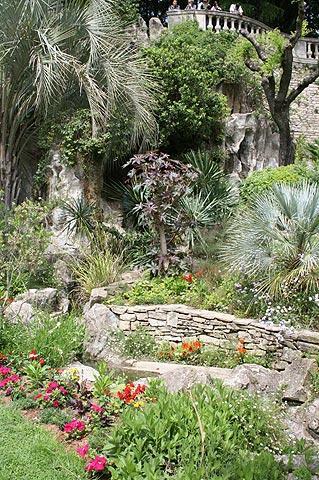 The Magne Tower is all that remains of the original city fortifications, and although the original top storey has now disappeared it is still possible to ascend the tower for far-reaching views across Nimes and the surrounding region. 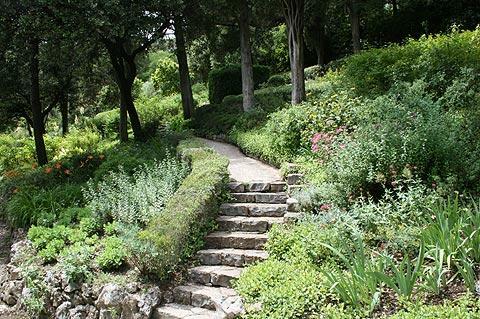 There are also plenty of shady spots to sit and relax or picnic in these gardens. 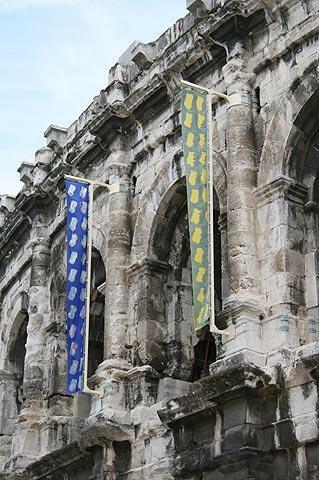 Ancient history out of the way, you can return to Nimes centre. 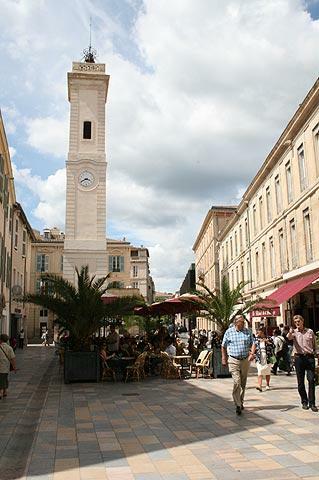 Based around the Place aux Herbes, Rue de l'Aspic and the Place d'Horloge there is an impressive and vibrant 'old town' where fashionable shops and restaurants are set in the narrow ancient streets to create a very attractive environment, opening into cafe lined squares from time to time. 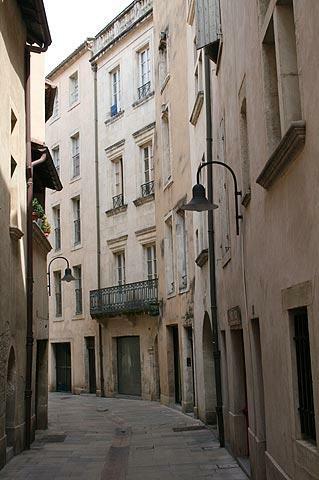 In Rue Général Perrier you can visit a large indoor food market that is open every morning. The buildings in the centre are mostly of the 'grand 19th century' style with wrought iron balconies and design features. There are shops for all tastes here, and also a commercial shopping centre if you still have some money left. There are ample places to stop and take a drink or meal in a shady restaurant. 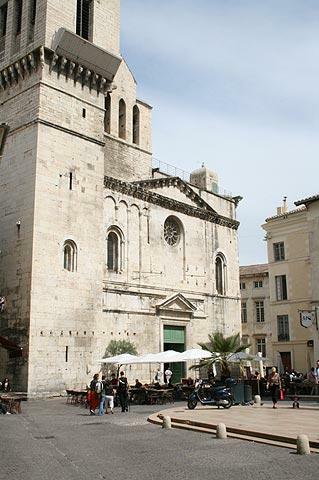 One of the most important monuments here is Nimes Notre-Dame-et-Saint-Castor Cathedral. The cathedral was originally built in the 11th century but numerous transformation over the centuries mean that much of what we see today was built in the 17th - 19th centuries. 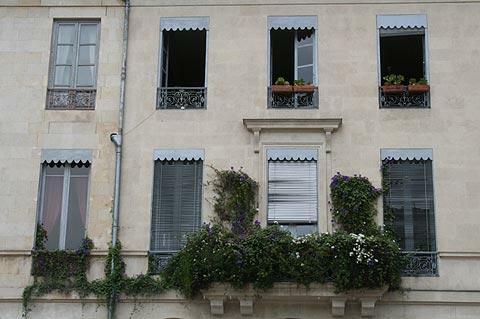 To make things even more confusing, recent additions were often in older styles such as neogothic and neoroman, and include features such as the fronton above the main entrance in the style of the entrance to the Maison Carrée. 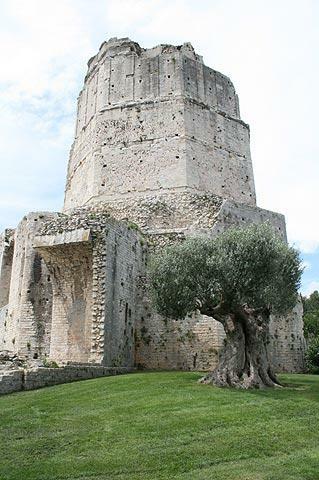 Although the cathedral is the most important religious monument in Nîmes there are several others you will discover as you explore. 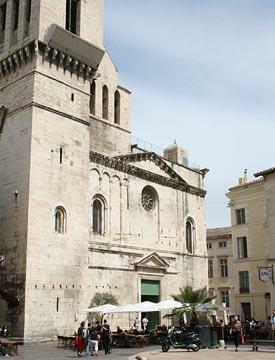 These include the Church of Saint-Paul, built in the 19th century in the romanesque style, the 17th century Chapel of the Jesuits and the 18th century Grand Temple. As a complete contrast, the Church of Saint-Dominic was built in the 1960's in the shape of a boat and is very typical of architecture of that period and now looking quite dated. 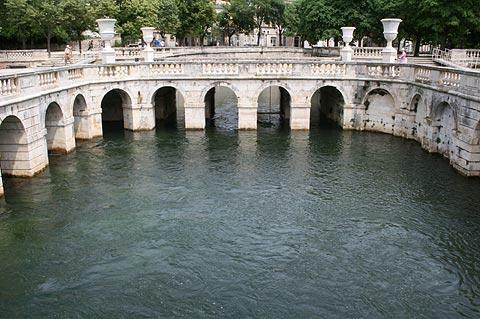 Enthusiasts of roman architecture also have a lot to enjoy in the region near Nimes. Don't miss the Pont du Gard just to the north-east of the city and another fine Roman achievement, then Arles also has a very impressive amphitheatre. A little further afield, the theatre at Orange also dates from the roman occupation of France.